After breakfast we leave for Merzouga (desert). We will leave Midelt crossing the mountains of Tizi N'Tlghomt, we arrive at the Errachidia reservoir and the magnificent panorama of the Ziz valley, full of palm trees and Berber adobe villages. 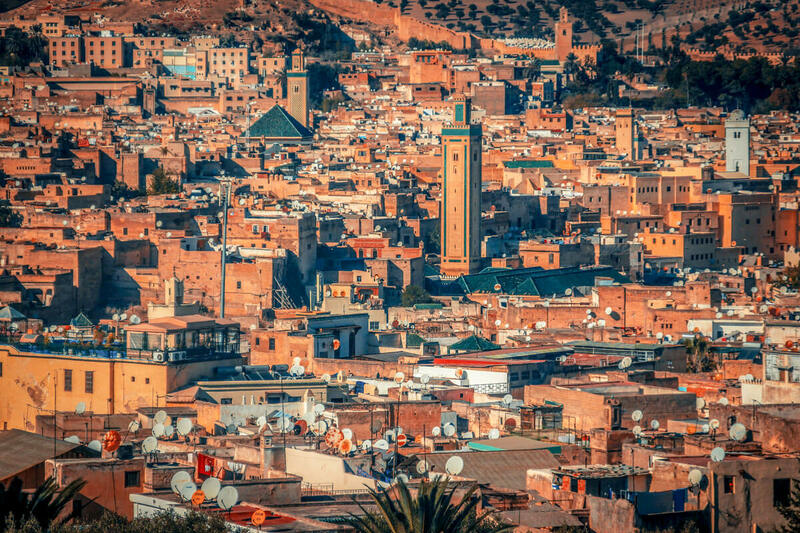 Arrival in Erfoud this city is built as one of the most important oases in Morocco. Then we will continue our way to the Erg-Chebbi desert of Merzouga, where our hotel La Source is located. Dinner and accommodation in Hotel. You are already in the desert! ... enjoying the magic of the dunes ... In the morning, early, when the heat still does not press ... we take the 4 × 4 and we are going to know these lands: to the house of a family of Gnawas or Bambara musicians, descendants of the slaves who came from Black Africa, and who will delight us with their traditional music. We will enter the dunes, where the Paris - Dakar passes, we will meet some nomadic families that live in that sea of sand and stone ... An authentic adventure! ... We return to the hotel and leave the 4 × 4 there, then, in the afternoon we will ride the 8 × 8 (are the camels) that will take us to the heart of the desert where we will contemplate an unforgettable sunset. Dinner and accommodation in Haimas in the middle of the desert.